...with another box of chocolates! "Pope Francis will be in Africa Nov. 25-30, and is scheduled to make stops in three countries. He will set foot in Kenya first, where he will stay from Nov. 25-27..."
BTW, Kenya is where Apuron bragged he had the former Apostolic Delegate for Oceania, Archbishop Charles Balvo, "banished" to. He also admonished Apuron on more than one occasion for NEVER having filed the required financial report. Read the full letter here. 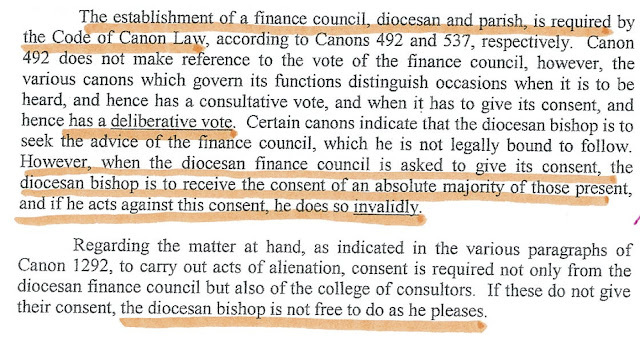 Also, read Archbishop Balvo's letter to Apuron from a previous year stating: "I have never received a financial report from the Archdiocese of Agana." Apparently, Archbishop Balvo was getting too "warm," so the underground intel is that Apuron and Pius squealed to Gennarini and his thugs, and Balvo was summarily "sentenced" to Kenya - at least that's the way Apuron brags about it (wanting to show how much power he has with Rome). Dear Archbishop Balvo, you may want to discuss this with il Papa while he's there. 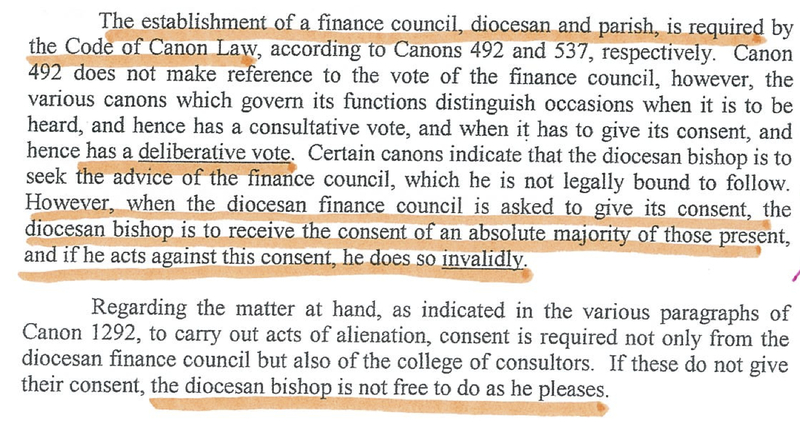 It may be timely since il Papa has a few other documents on his desk just now relating to the same bishop. P.S. Please tell your guards to keep an eye out for an Archbishop with a Latino looking companion armed with a box of Guam chocolates. He's been known to crash security before. Another dangerous spot the archbishop's Neo handlers might ship him off to! We'll surely find out when OJ takes another unplanned vacation. Brother Tony always needs his biggest and brightest bodyguard to get him closer to the Holy Father. It really makes one wonder why Apuron goes through great lengths to shadow the Pope's visits to other countries and to dodge tight security like a desperate groupie. It is not about the chocolates, it is just a cover. He gets many chances during regular bishops' meetings with the Holy Father. Is that not enough? The Pope goes around the world to visit with those unable to have that unique opportunity or the means to visit him in Rome. For many it is once-in-a-lifetime, and most literally travel miles in much less comfort than Apuron can't even imagine. How dare he push himself ahead of others for a photo op to puff himself up more. It really boggles the mind that Apuron fights with the crowds to get the Pope's attention like a needy child. If it is photo op, what is he trying to prove? He is already an Archbishop, what will satisfy this avaricious and ambitious man? No shame, no compassion, no understanding, and he reads to us the virtues of mercy and forgiveness? And then we have OJ breaking security to give Pope Francis a autographed copy of his Book! Diana said he wrote a book. Funny, Because Archbishop Anthony was not impressed with his studies in Rome. He said so in public, of course. Tony, Tony, no prudence at your age? Now OJ will be crying. Oh yeah,count on it, he will be there alright. He is like that paranoid person who needs to be where the gossipmongers are, lest he get talked about in his absence. He is like a chicken without a head, trying so hard to fit into circles he thinks will make him feel important. Poor pathetic man, poor insecure little girly man who has taken advantage of the position that fell on his lap. Goes to show that that you can apuron out of his hellhole, but you cannot take the hellhole out of apuron. We are much better off without this self-absorbed cleric who does nothing, who thinks nothing, who is nothing. His whole cadre of web-spinning nincompoops david c quitugua and adrian l cristobal are a couple of disgraceful parrots. Parishes will again be assessed large sums of money to pay for the first class photo op. Sadlley instead of the photo being used to prop up the Catholic Church in Guam, it will be used to further advertise the NEO cult proaganda that shows that the Pope has blessed this sacrilegious movement. Time to stop the money or you will find your donations being spent in future visits by the Pope. Maybe Guam will one day be blessed by Pope Francis. That is if AAA will gracefully invite him to visit Guam for all see him not just he. Someone should crack a bat over the head of AAA. That should wake him up! I guess these groupies haven't done their research of the Holy Father. When he visited the US in NYC. All he had for dinner was chicken breasts and rice; for snacks, bananas (Not from Columbia or Brazil!) and to drink, water. He refused all donations by the great citizens of the city, all from the famous chef's who prepared Micheline Starred rates meals within NYC and even a brand new bed that was to be delivered prior to his stay. This is HUMILITY, and AAA still wants to give chocolates! Yeah right...try another angle. I am publishing the above comment that the caveat about the bat is figurative - even though I personally have been threatened similarly in a way that wasn't. All this trash talk this Wouldn't happen. Oh Rudy Rudy, @ 4:12 AM - late comment than usual, isn't it? I guess nothing to do today, just lounging around Vivian Way. Please just disappear to avoid our being scandalized by your double life. You said, "All this trash talk this wouldn't happen"? Well, if your archbishop is a sensible humble man, all this would never have happened. If you are upstanding, cordial, respectful and a man of integrity, all the trash talk will not happen. Booyahhhh! Just slink into your Vivian Way couch, watch a little sports as you cuddle a rather plump turkey, er, drumstick. 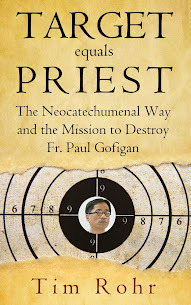 If your ncw never set foot on this island under the pretext of "mission," the Catholic Church would have the dignity She deserves and the respect She has enjoyed before your neobrother archbishop threw it to the dogs! 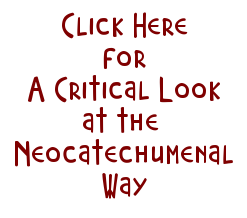 If all of your neobrethren are not smooching from the coffers of the faithful Catholics and using the official church paper as propaganda, all these would not have happened. Broaden your mind about the real issues, not your devotion to a malware called kikoshit. Capisce, Rude Rudee? Lessen your dose of kikokaka koolaid, smell the island breeze not the stuffy '60s, '70s, '80s of a pope wannabe kiko pronouncements. Now say, kikokaka 100 times for your kiko mantra of the day, and pretend you just didn't see truth but "trash talk." Be a good little old man boy and go...shooooooooo! Rudeee...revisit the old saying, "those in glass houses should not throw stones." Perhaps your "trash talk" can be gargled by the holy water you bless people with? Amble along now with your pretend cane, and hurry on...she is waiting.